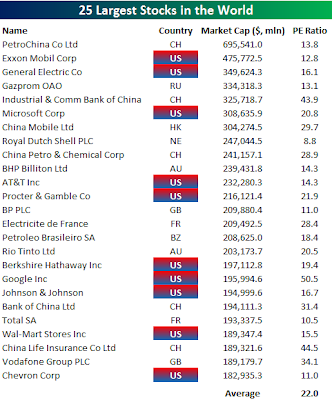 The above is the latest top 25 largest companies in the world by market capitalization. 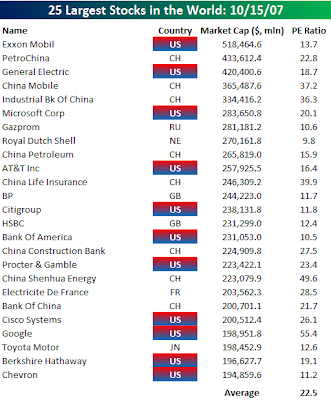 Just 3 months ago citigroup was the 13th largest company but now they are not even within the top 50. Google on the other hand has surged to No 18. For a company thats under 10 years old from the day it started business, its just amazing. Check out below for the top 25 list that was reported back in October 2007.